There have been two main strands to the career of Beth Nielsen Chapman, both immensely respected, and to the great delight of this Birmingham audience, both very much on display during this packed evening of high quality entertainment. 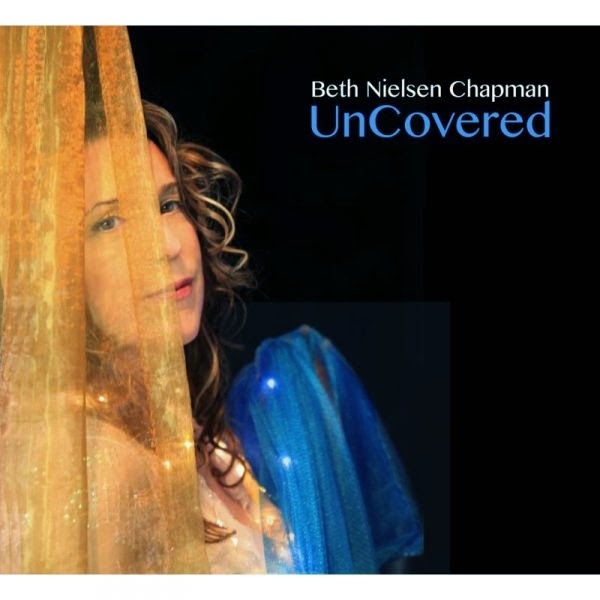 The celebration of Beth as a very successful Nashville song writer is currently being honoured by the recent release of her rather good UNCOVERED album and the many fine songs from that record formed the centrepiece of her return to the city. When you take into account her fine voice and acclaimed other recordings which tended to be in a more Adult Contemporary style then this sophisticated mix lent itself to an enjoyable show. The support Beth received from her core band of Martin Allcock on various guitars, Tripp Dudley on drums and the delightful Ruth Trimble on a variety of instruments ranging from bass, keys, piano and whistle helped make the evening a resounding success but the icing came from the support act Red Sky July. Not only did this talented trio play a wonderful opening set but remained onstage for most of Beth’s as well to generally provide harmony vocals and a touch of extra guitar. Red Sky July are a relatively new name but comprising of seasoned artists such as husband and wife team Shelly Poole (Alisha’s Attic) and Ally McErlaine (Texas) with American Charity Hair completing the line-up. Together they delivered a harmony driven country folk sound which perfectly suited the girls’ vocals. Amongst a collection of original songs spanning their upcoming and previous releases, a sublime version of Donna Fargo’s 1970’s country hit ‘The Happiest Girl In The Whole Of The USA’ crowned a memorable performance to make many of the audience take serious note. 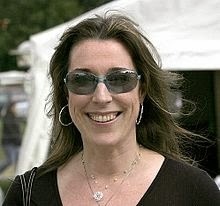 While on the subject of country music, it is that genre where Beth Nielsen Chapman had most commercial success with some of the very best performers cutting her songs of which many went to number one. In her own bubbly manner, Beth took great pleasure in enthusing about the background of each song and the stories that led to her acquaintance with artists such as Willie Nelson, Waylon Jennings, Vince Gill and Bonnie Raitt. The audience listened attentively and responded positively to most numbers but especially the big Faith Hill hit ‘This Kiss’ and the invited audience participation track ‘One In A Million’. Having giving this album a very favourable review at the start of the year and liking most of the tracks, it was difficult to pick a live highlight but the passion Beth shared regarding the writing therapy gained from composing ‘Simple Things’ during a period of recovering from a serious illness gave this song added understanding. On a night of many high spots, there was one downside in missing out ‘Five Minutes’, my favourite song from UNCOVERED, but at least there was the opportunity to listen to her other material, much of it sung while playing the very grand in-house piano. Many of the audience were there to share the experience of these songs and her 1997 hit ‘Sand and Water’, a tribute to her late husband, probably had the best reception. The exceedingly talented Ruth Trimble took centre stage for one song and filled every inch of the elegant Town Hall with her beautifully delivered number ‘Goodbye’. Just to show her diversity and immense pride, Beth shared a couple of songs from her recently Grammy nominated children’s album, THE MIGHTY SKY, both delivered in an amusing and exuberant style. At the end of this rare and special evening we were left with an exquisite version of the Beach Boys classic ‘God Only Knows’ but the show really belonged to the songs from the talented and creative pen of Beth Nielsen Chapman. While this evening had a nostalgic and reflective feel to it, Beth is far too young to live on past glories and hopefully there is still much more outstanding new material to come. Set List: How We Love, All I Have, Here We Are, Strong Enough To Bend, Simple Things, Sweet Love Shine, Maybe That's All It Takes, Meet Me Halfway, Pray, One In A Million, Goodbye (Ruth Trimble), Test Re-Test and Verify, Rockin' Little Neutron Star (Both from The Mighty Sky), Emily, This Kiss, Nothing I Can Do About This Now, Almost Home Encore: Sand And Water, God Only Knows.